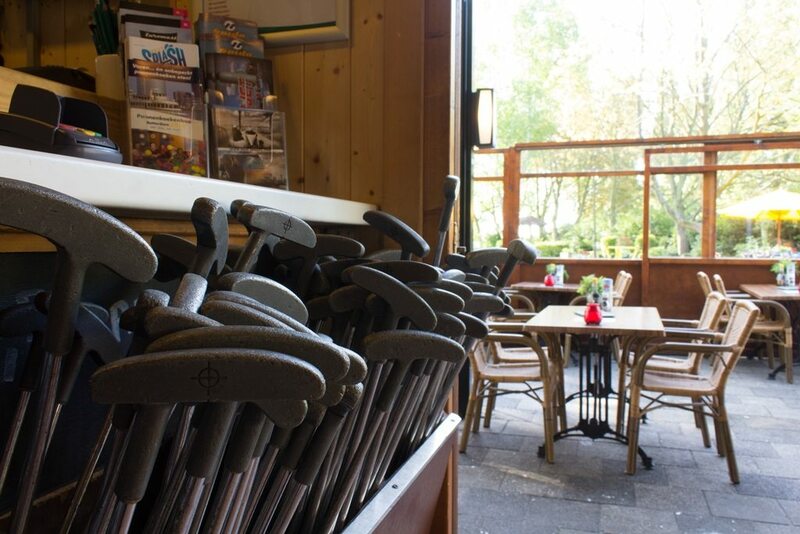 The Mini Golf Course at Mini Golf Course Parkhaven consists of 18 holes and is situated on a wonderful and romantic location in the centre of the bustling city Rotterdam, hidden between foliage, next to the wonderful Park, at the foot of the Euromast. It is a nice place to play mini golf to enjoy a bite and a drink on our sunny terrace. Terrace Parkhaven offers 120 seats.